If you have a project launching on the Internet that needs traffic, conversions and the ability to brand your product and your company, we can help. 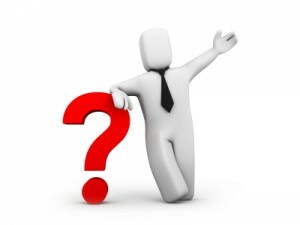 We offer consulting packages based around your needs and time schedule that offer a high return on your investment. Consultations can include in-person meetings, phone and email time and the design of strategic initiatives or critiquing of existing work. We specialise in consulting for Small Business owners and are very happy to liaise your existing web development team. Dealing with the Internet and web technologies can be a major challenge to small business owners. We can provide specialist consulting services for small business owners who are trying to find out the best way to create or optimise their website. Sometimes our clients prefer a “hands on” approach, but don’t have the knowledge or skills. WebConsulting offers customised training programs on a range of web activities including, Search Engine Optimisation, Site Maintenance, and eCommerce Administration. Whether as a part of one of our site development packages, or as a standalone requirement, WebConsulting can either do it all for you, or provide you with advice and assistance in the registration, renewal, or management of your domain names. Unlike some other web agencies,We don’t run our own hosting, but have relationships with a selection of national and international hosting specialists. This allows us to focus on the development and consulting services that we specialise in, and allows us the flexibility to offer you the best hosting plan for your specific needs. 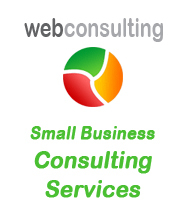 WebConsulting can work with you, or provide advice in the setup and configuration and management of your email accounts. I wanted my business noticed on the internet and WebConsulting helped me. I'm totally satisfied with results!